Are you in the process of opening a new law firm? Any new business is going to need office equipment, but for law firms, it’s even more important. Not only do law firms have to have a variety of ways to stay in contact with their clients, they also need printers, shredders, copiers, etc. to do business on even a basic level. 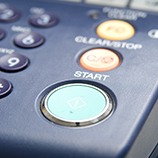 You have the choice between renting the office equipment you need and buying it outright, but there are many reasons to choose the former option. 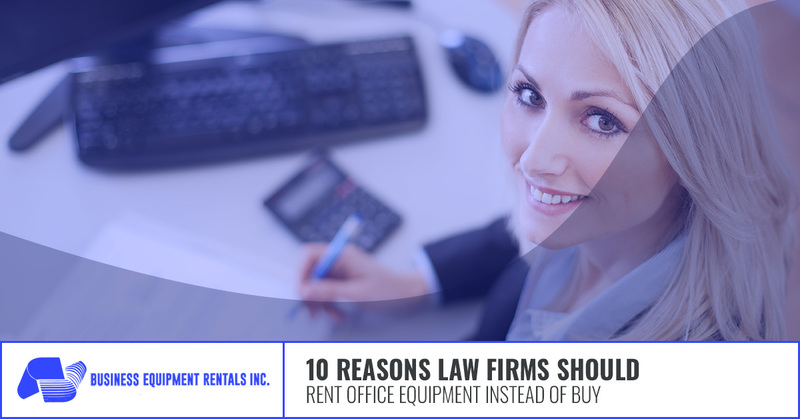 Here are the top five reasons to rent equipment for your law firm rather than buying it. Reason #1. Use your startup money where you need it most. When it comes to office equipment, you very much get what you pay for. If you sacrifice quality now to save more on your initial investment, you risk having unreliable equipment, or worse, having to shell out extra cash early to replace equipment prematurely. When you rent your equipment, you won’t have to make a large, one-time investment in office equipment, which allows you to invest your startup funds in other areas. Reason #2. Get the best equipment for a lot less. Would you rather sit in a top-of-the-line ergonomic chair or a chair that creaks when you move, or one where you get poked by a spring when you sit down? As we mentioned in our first point, you get what you pay for with office equipment, and renting allows you to get a lot more bang for your bunk in terms of quality. Not only will buying quality equipment help to keep your law firm productive and efficient, but it will also help you put your best foot forward with each and every client who walks through your door. Reason #3. Repairs and replacements will be taken care of for you. Office equipment can and does break down. When you buy your equipment outright, it’s up to you to make arrangements for all necessary repairs and replacements, and the costs of repairs and replacements can start to add up. When you rent your office equipment, on the other hand, the company you rent from will take care of repairs and replacements for you, saving you time and money. Reason #4. Avoid having to take out more credit than you have to. There are a lot of things to invest in when you’re starting a law firm, the least of which is the office equipment; though, it can be expensive, so it typically makes up a large portion of that initial investment. This leaves many fledgling law firms to take out credit cards, loans or lines of credit to help them get started. Renting your office equipment instead of buying it gives you one less reason to have to take out more credit than you need to. Reason #5. Pay a little every month instead of a lot upfront. Some businesses can make due and start making money, even if they don’t have all of their office equipment up front. But, when it comes to law firms, that’s simply not the case. The idea that you would have to put starting your business and working with clients on hold because you don’t have the money to purchase all of the office equipment you need up front is simply not acceptable to many law firms. Luckily, though, when you rent, you won’t have to shell out a huge one-time investment. Paying a little every month rather than a lot upfront is something that many new law firms could benefit from. 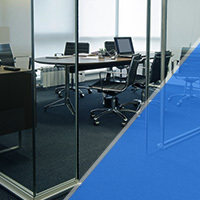 Find the office equipment you need at Business Equipment Rentals Inc.
Are you looking for office equipment for your new law firm? If so, there are so many reasons to consider renting office equipment rather than buying it, and in our next blog, we’ll be touching on five more. 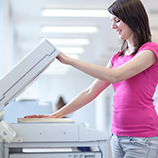 To learn about the next five reasons to rent office equipment, stay tuned for our next blog. In the meantime, if you’re looking to enjoy the many benefits of renting office equipment for your law firm, turn to the professionals at Business Equipment Rentals Inc. in New York City. 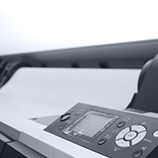 We have everything you need from laptops and shredders to copy machines and fax machines. Best of all, we offer the latest models and the best brands, all for an affordable rate. Contact us today to get started!